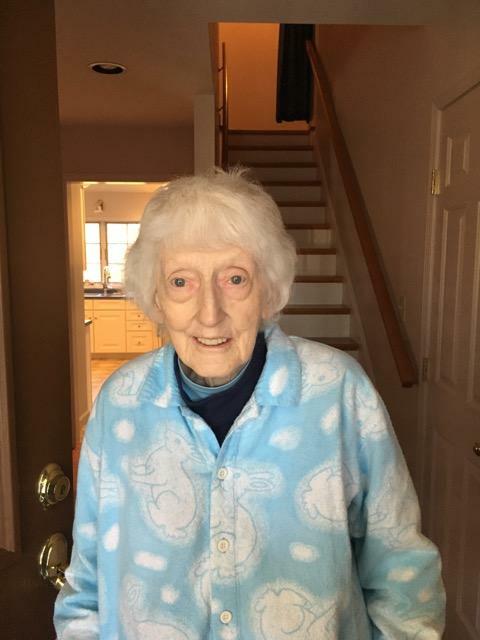 Delinda "Linda" Gordon Bonin of Beaverkill, NY, a retired teacher from the Wayne, NJ School District and longtime area resident died Wednesday, March 20, 2019 at her home. She was 85. The daughter of the late Norman and Marjorie Lawrence Gordon, she was born March 2, 1934 in Newark, NJ. She grew up in East Orange and Mendham, NJ, and her family spent summers in the Beaverkill Valley. She moved from Hillsdale, NJ, where she raised her family, full-time to a house she and her husband had built in the Beaverkill, her favorite place above all others in her life, 15 years ago. Linda had attended the Beaverkill Church and is a former member of the church choir. She excelled in high school basketball and was named an All-State Field Hockey Player at Morristown (NJ) High School, later was a graduate of Douglass College, part of Rutgers University. She enjoyed playing Bridge, and cards in general, including pinochle, hearts, and go-fish, especially with her children and grandchildren. She was a voracious reader all her life. Survivors include one son, Gordon C. Bonin and his wife Catherine DesPrez of Hillsboro, VA and one daughter, JoAnn Bonin of San Jose, CA; four grandchildren, Pieter, Nina, Willem and Isabel; four sisters, Constance, Alice, Sara and Janet. She was predeceased by her husband, Carl J. "Yogi" Bonin, by her two brothers, William “Bill” and Edward "Ted", and by her older sister Patricia. Visitation will be Saturday, March 23, 2019 from 4-7 PM in the Harris Funeral Home Railroad Ave., Roscoe, NY. Graveside services and burial will be held at the Beaverkill Cemetery, Beaverkill, NY at a later date. Memorial contributions in Linda's name may be made to the Beaverkill Church C/O Steve Lott, 308 Craigie Clair Road, Roscoe, NY 12776.